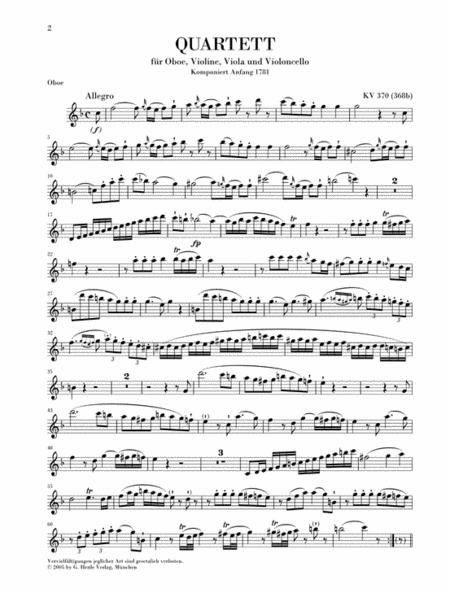 For Oboe, Violin, Viola and Violoncello - with Comments in English. By Wolfgang Amadeus Mozart. Edited by E. Herttrich. Chamber Music with Winds. Pages: Ob Part = III and 7 * Vl Part = 6 * Va Part = 6 * Vc Part = 4. Urtext edition (Paper-bound). Published by G. Henle. 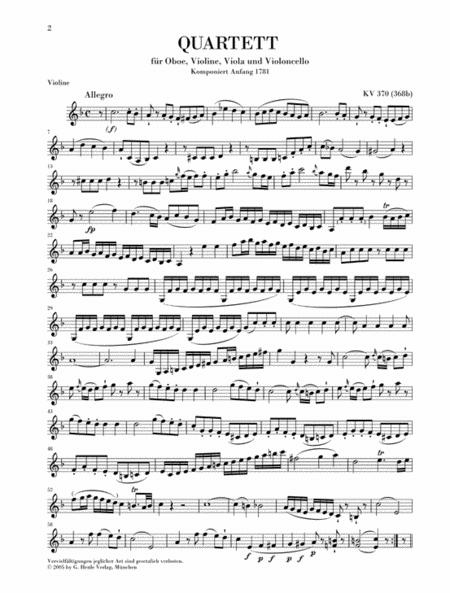 For oboe, violin, viola and cello. 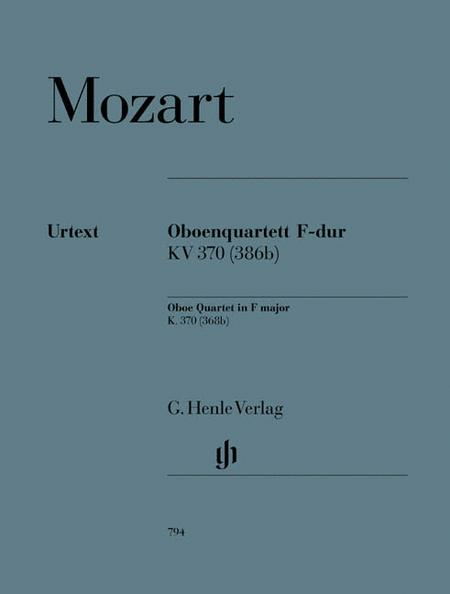 This is Mozart's only piece of chamber music for the oboe - and no oboist would want to be without it! Like the Clarinet Quintet, the Oboe Quartet of 1781 was written for a friend: Friedrich Ramm, a member of the celebrated court orchestra in Mannheim. Since then it has become the most significant and more...best-known work in its genre. The playfully virtuoso outside movements frame a brief slow movement in the minor mode that brings out the instrument's elegiac timbre. Unlike the Oboe Concerto, this work has come down to us in Mozart's autograph score, which has served as the principal source of our edition.